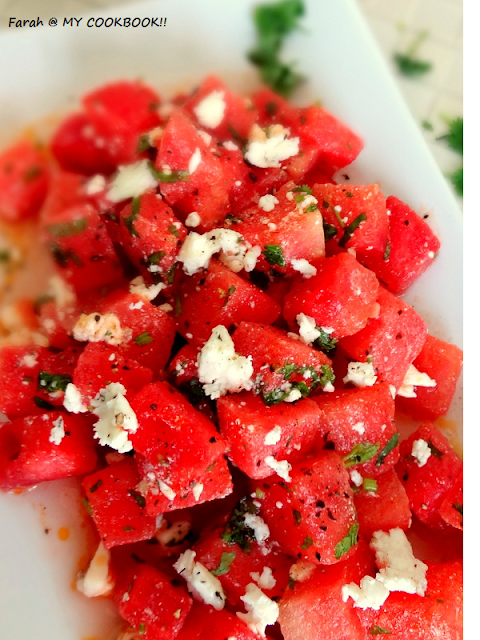 Chop the watermelon into cubes and place in a colander, to strain off excess juice. 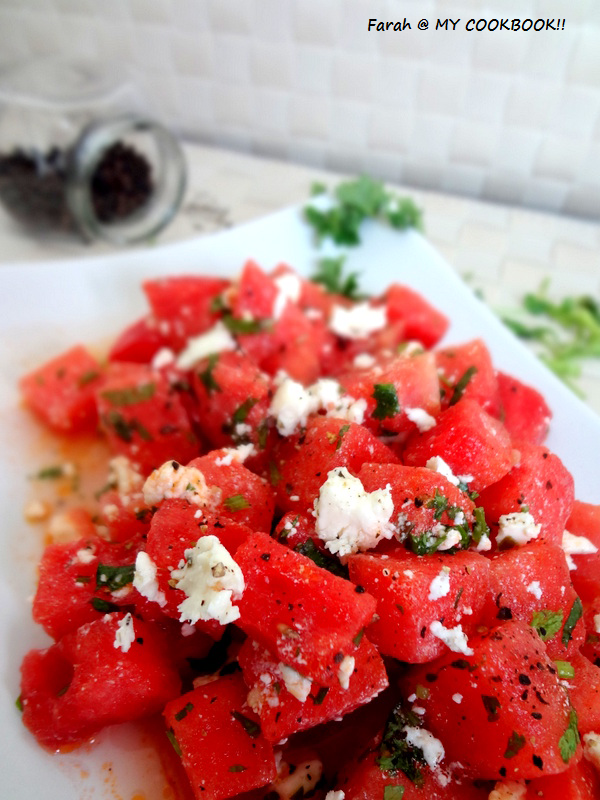 Transfer the watermelon into a salad bowl and add a few spoons of the olive oil dressing. 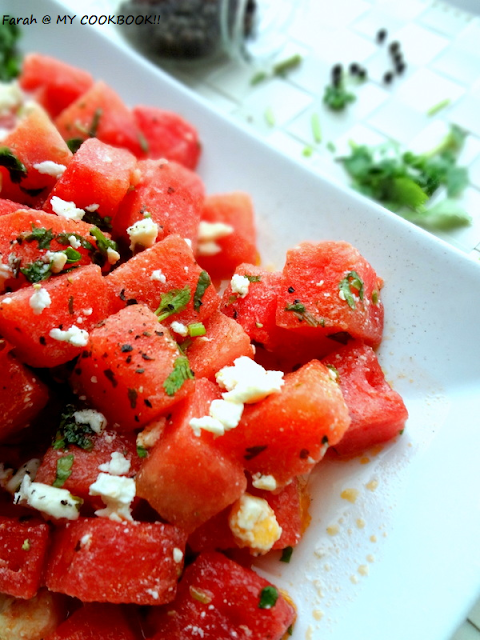 add the mint leaves and the crumbled feta cheese and toss. prepare the salad just before serving. 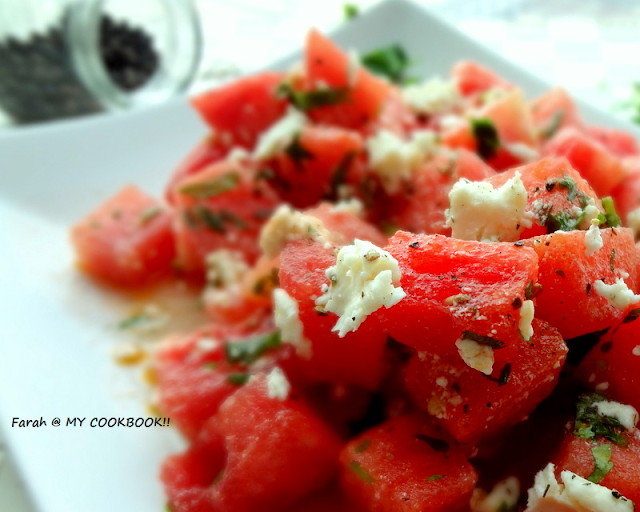 This is authentic Greek salad... and it looks super good..
Great looking summer salad recipe. First time here and wants to know more about your culinary journey so, following you. I would appreciate if you visit my space in your free time.